Here's some PHOTOS of Customers that have built their own Hitches. 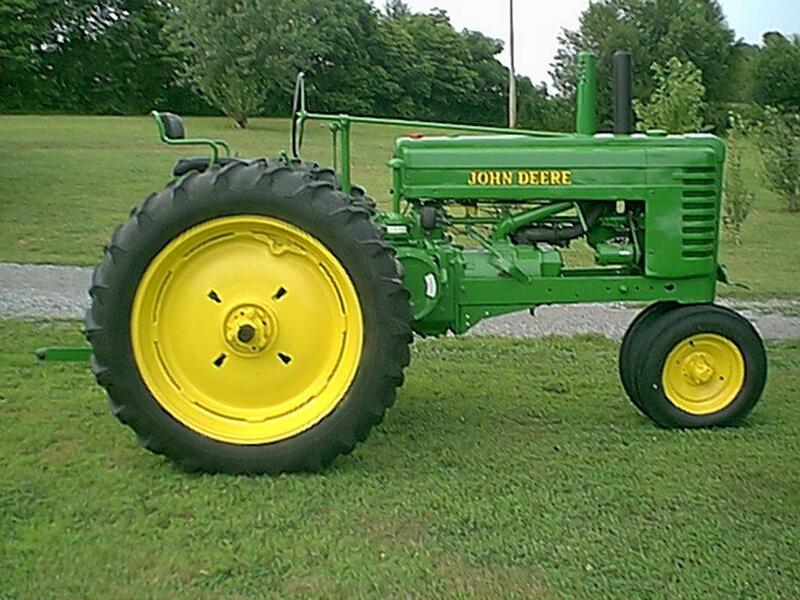 Sam Massenburg's Beautifully restored 1945 John Deere all-fuel "A". 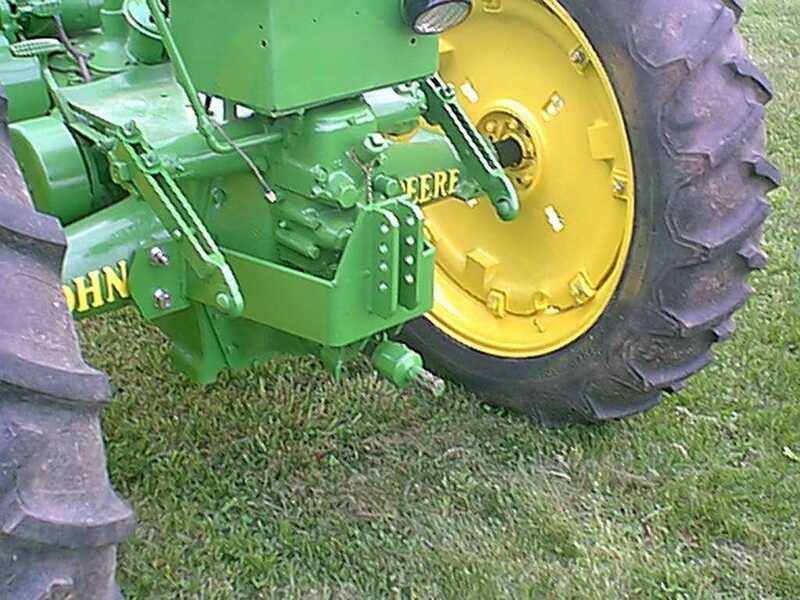 Sam built just the top link mount to work with his other 801 hitch parts he had. 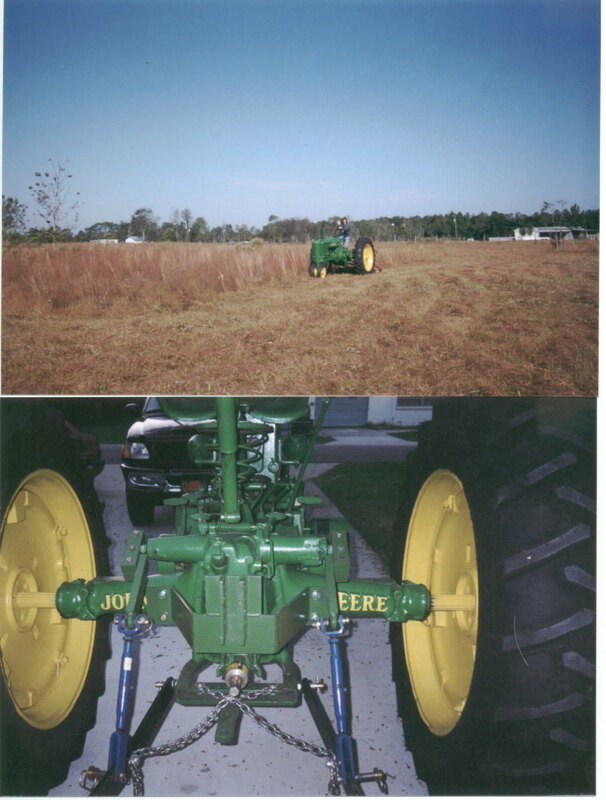 I would be flattered for you to use my pictures on your Web Site and I appreciate the comments on my tractor.I spent approximately $138.73 for all materials including your plans. I had both the lower and upper lift arms from the previous 3 pt. and modified them to your plans. I purchased the steel for the hitch from the "scrap pile" at the local steel dealer. 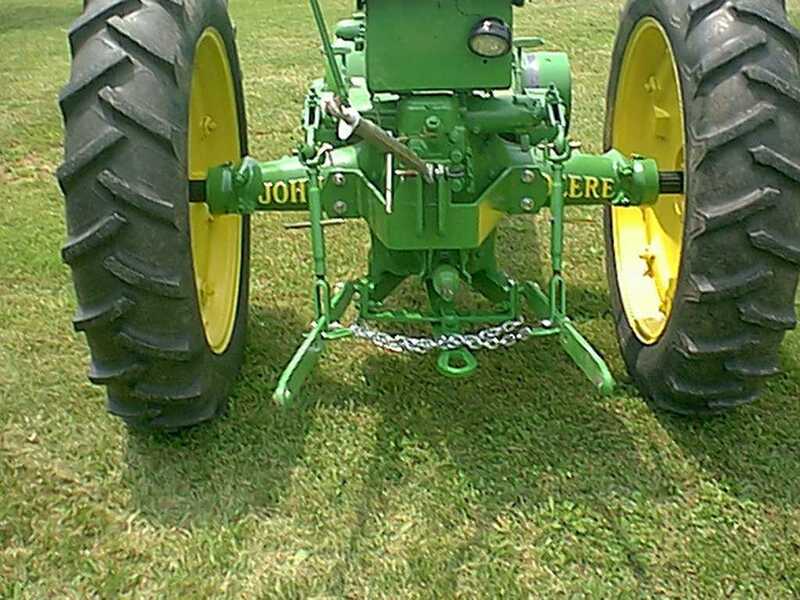 The adjustable side links and new ends for the lift arms from Tractor Supply Company. I preferred to heat and bend the hitch to get the right fit on the axle. Also, did you see how I "dog eared" the corners on the attachment flanges to the axle? It lets you see the lettering and gives it a nicer look I think. Here is a picture of the hitch I built with your plans,and a picture of my wife mowing our 10 acres . The hitch was real easy with the plans,a lot of drilling, but thankfully I have a drill press. It cost a little over $200.00,with plans. I didn't think I would be able to add one when I found out that a prebuilt one was around $700.00, and it also turned out to be a good experience.Mark Alvarez-Fla.
"Mark,Where do you find a good wife like yours that is willing to brush-hog? 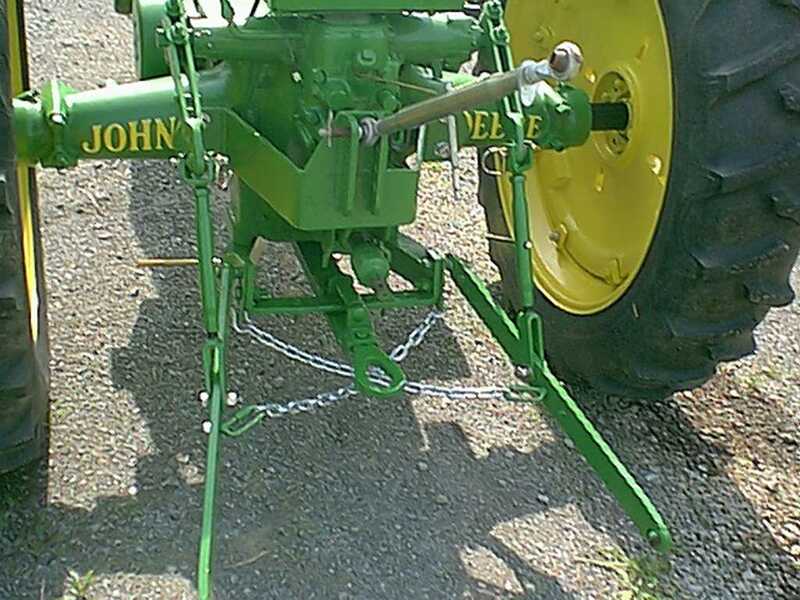 Alot of us would love one like Jean"
After building your Hitch,send us a picture or two,and we'll add it to this page.